1. Peel and wash the onion and cut them into small pieces. 2. 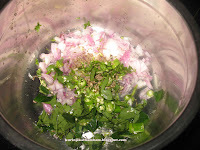 Wash and cut the green chillies into small pieces. 3. 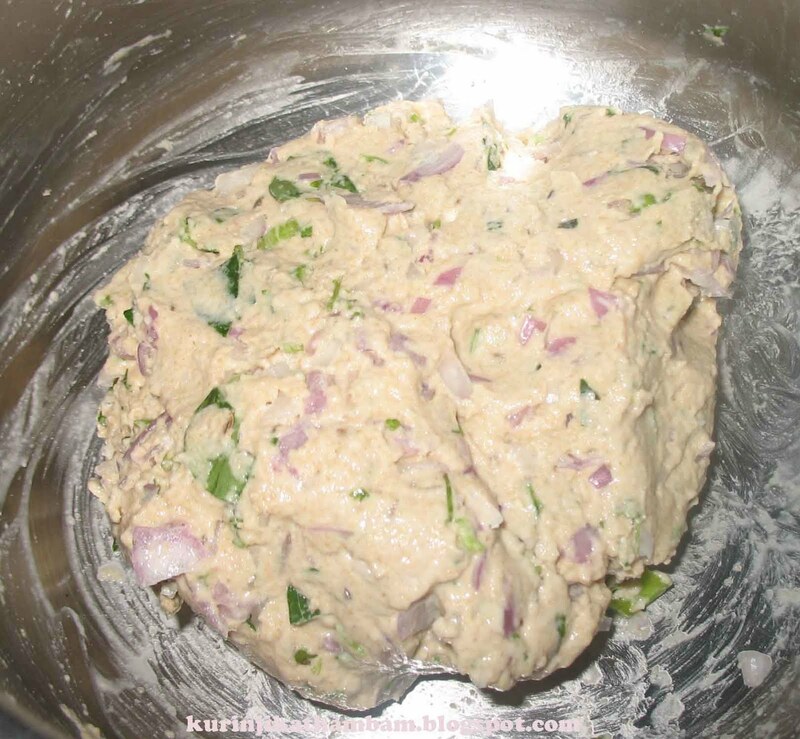 Mix wheat flour with all other ingredients. 4. 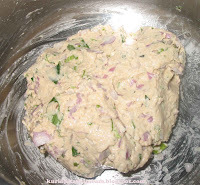 Gradually add water and make dough. 5. Dough should not be very hard. 6. Keep it aside for just 10 mins. 7. 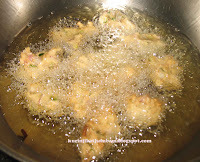 Heat the oil in a kadai at medium flame and make small fritters and deep fry until it becomes golden brown. never tried with wheat flour...looks great.. Very healthy version of pakoras! hey this is new to me.. never tried fritters with wheat four. Droolworthy fritters, feel like munching some.. Very different. I had eaten only sweet banana fritters where the wheat flour is used. Looks delicious. Never tried this before,sounds super yummy snack..will surely try this. 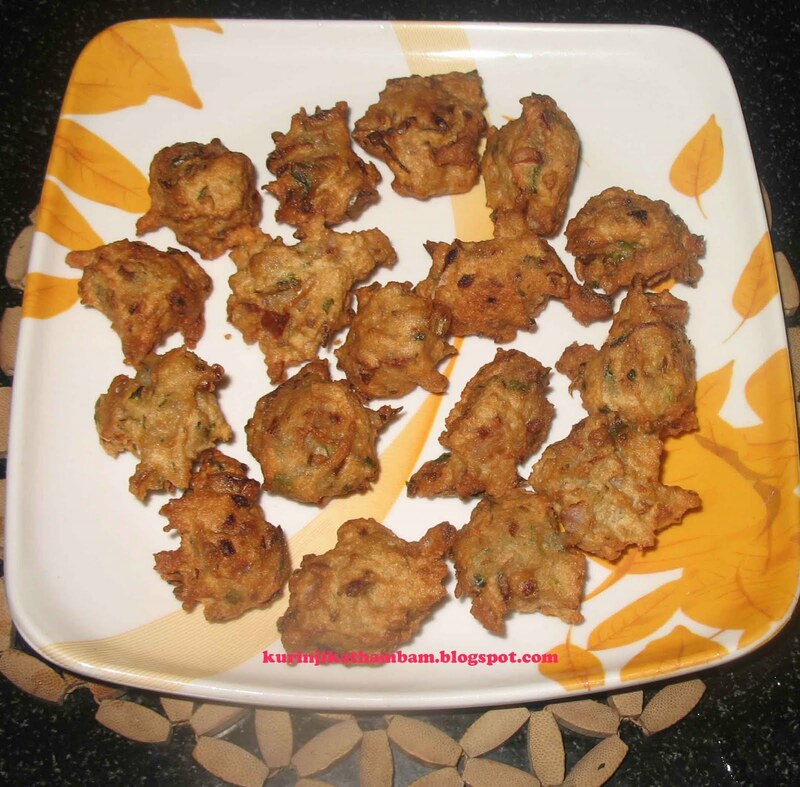 Never used wheat flour for pakoda, would love to try this one soon...thanks for sharing it..
Nice pakoda, never tried looks delicious. Wow..yummy fritters..will love to try! In Kerala there is a similar snack calle "Savala vada" means onion fritters..This looks yummy!! wheat flour is a healthier option! nice recipe. wheat flour is a healthier option! nice recipe. u have a nice space, will visit often. new to me to....using wheat flour...nice recipe!